With Trauma I, a Mexico City and surrounding areas tag team that's worked stretches in Coliseo Coacalco and with DTU and NWA Mexico. Seemed to have settled in IWRG, but left in mid June 2010. Still teams with his brother on other shows around Mexico. 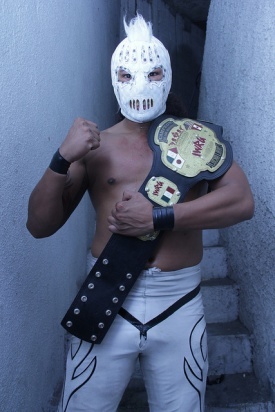 Made his return to IWRG in early 2011. Trauma II is the skinnier Trauma. ????.??.?? hair Trauma II Kidman ??? This page was last edited on 26 April 2017, at 15:23.